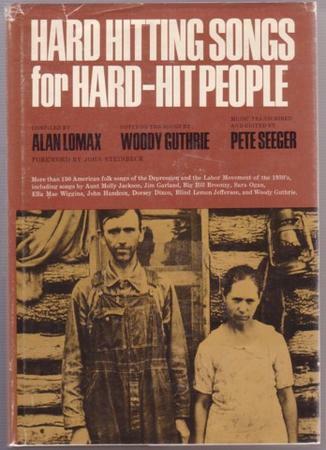 Dal volume “Hard Hitting Songs for Hard-Hit People”, realizzato da Alan Lomax, Woody Guthrie e Pete Seeger tra il 1940 ed il 1967, anno della sua definitiva pubblicazione. La canzone è stata interpretata anche da Peggy Seeger con il titolo "Peacock Street". I knocked down some old big shot, took his clothes, money and all. O tell me how long must I wait for a job? I don't like to steal, I don't like to rob. They called me a robber, yes, they called me bad. Because misery and starvation drove me mad. For taking that old big shot's money away. To walk the streets in the rain and in the snow. No clothes on my back, no food to eat. Now a man can't live by just walking the street. I'll be sorry to my heart if I have to repeat. Then they'll put me back in that lousy jail.